Join me in exploring the brittle pages of my first diaries. Meet the rambunctious little girl you will meet and learn to love in When The Roll Is Called A Pyonder. Each week, beginning in July and continuing through September, I will post some excerpts from the diary I begin at the end of When The Roll Is Called A Pyonder and include a picture of myself that would have been taken during the time the book is set. 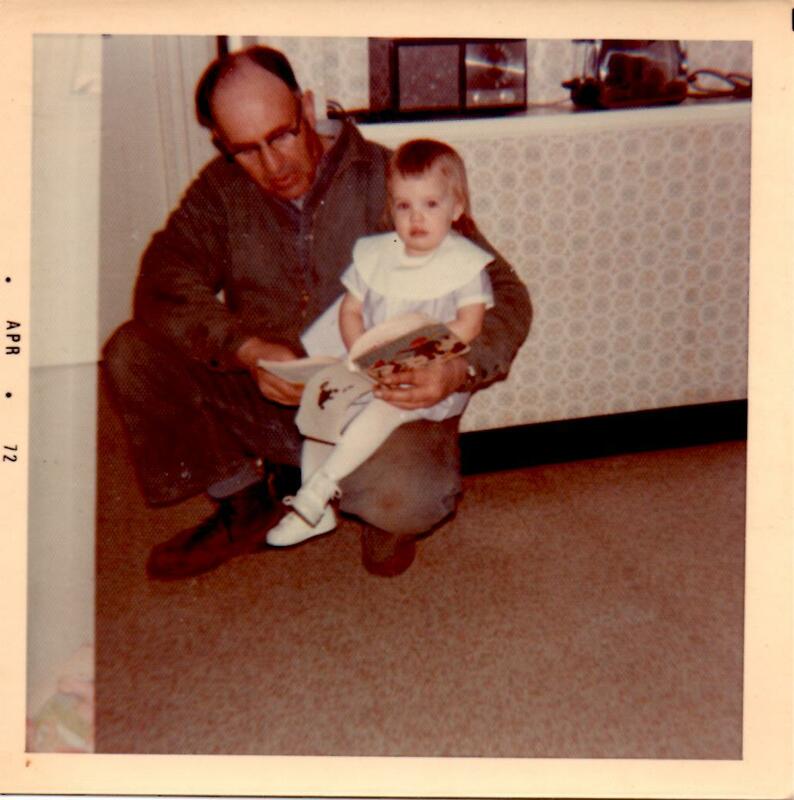 My Grandpa Brubaker reading to me in the farm house kitchen. I don’t know what I want to be when I grow up. I can’t decide. I don’t want to be a mommy like Mommy and I can’t be a farmer like Daddy because I’m a girl. I think maybe I’ll be a rock collector. I like rocks. I like to play in the lane and pick out pretty stones and bring them inside. Read a longer excerpt from the book at http://www.mennonitewriting.org/journal/6/2/when-roll-called-pyonder-preview/ and leave your comments.